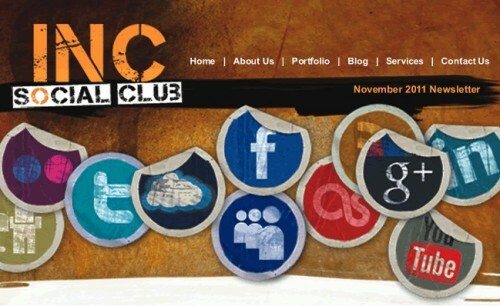 The latest issue of the Design Incorporated online newsletter ‘Social Club’ features some key recent social media management projects. We showcase how our clients across a range of B2C and B2B sectors are embracing social media management. We’re also a sociable bunch and you can find out more about what extra curricular activities we get up to. Look out for our next issue of Inc Christmas that will be reflecting on the year’s highlights and successes. A social media management project will usually be embedded within a broader campaign landscape of additional marketing. Many brands are now adding connections to social media at various stages of their customers’ journey through the awareness, engagement and transaction process. In particular online businesses can now enable users to share information about purchases or attendance at events through social media sites like Facebook, Twitter or LinkedIn for example. In addition to social media management we also work across all the traditional offline media too and our specialism is connecting up a brand proposition through cross platform marketing. Design Inc UK is a west London based integrated online marketing agency. If you are considering updating your website and need social media management services, please contact us by calling 01784 410380 or emailing us to find out more. Design Inc has considerable experience in all types of integrated and online marketing and social media management services, so whether you need social media applied to a simple marketing based website, or if you want to create a wide social media network to join-up online and offline communications, we can help with the creation and management of it.